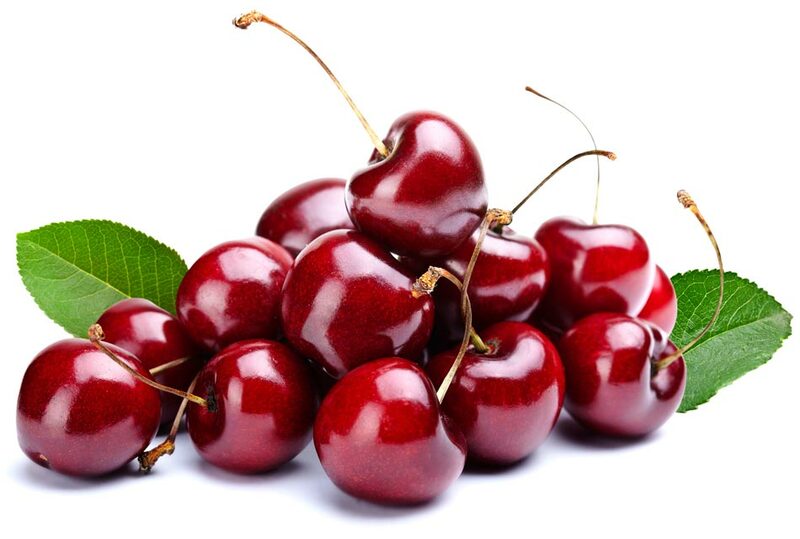 Cherries are packed with great nutrients for your health, especially antioxidants that fight cell damage and aging. They may help with arthritis and other inflammatory joint conditions. Cherries are high in the antioxidant melatonin, and some people experience improved sleep when they consume them routinely. They're also rich in magnesium, potassium, and vitamin A. If you want to make cherries part of your everyday diet, you'll want to make sure you have a variety of dishes to choose from, so you don't get bored. We've compiled a list of some healthy cherry recipes for you to try. Using a cherry pitter can significantly decrease the work involved and increase the speed with which you can cook with cherries. This salad is easy to put together, has a delicious flavor combination, and is packed with the antioxidant and nutrient power of kale, cherries, and walnuts: "Fast Cherry and Kale Salad." If you're thinking about ice cream, you may be able to crush the craving with a refreshing cherry lime slushy. That way, not only are you skipping the sugar and dairy in the ice cream, but you're also adding the healthy benefits of cherries and citrus: "Cherry Lime Slushies with No Added Sugar." If you have a sudden craving for a treat but you don't want something big that you'll have to munch on for days, consider a mug cake. This one-serving treat can be made healthier by eliminating the sugar and using stevia instead: "Cherry Chocolate Mug Cake." A crumble is a timeless, tasty dessert for summer picnics and barbecues. Try a cherry crumble made healthier by using butter from grass-fed cows, maple syrup instead of sugar, and skipping the brown sugar in the crumble ingredients: "Healthy Cherry Crumble." Cherries can enhance main dishes too. This cherry chicken recipe is super easy, but your friends and family will think you spent all afternoon cooking. The taste is gourmet, and you get the health benefits of cherries: "Cherry Chicken." You can harness the power of cherries all year if you used a dried version. Just make sure there's no added sugar, or better yet, use a food dehydrator and make them yourself. They're great for snacks, and you can also add them to salads and these delicious "Chicken Salad Sandwiches."